CHANNEL 4 have sensationally suspended the 2008 series of “Celebrity Big Brother UK” in the wake of the race row which engulfed the show’s last run. The celebrity version of the show has run for five series and lasts for three weeks at the beginning of the year. The last series (CBB 2007) was overshadowed by the race row about the treatment of Bollywood beauty Shilpa Shetty by Jade Goody, Danielle Lloyd and Jo O’Meara, and benefited Shilpa Shetty to won the show. Mr Bellamy denied that last year’s race row, which centered on Jade Goody and Shilpa Shetty, had deterred celebrities from taking part in the next series, but he admitted there was a “general issue of supply and demand” which was making it harder to book celebrities. Mr Bellamy insisted that the racism row had not played a part in the regrettable decision, but rather that a “general issue of supply and demand” had made it harder to book celebrities. The argument which will definitely not convince anyone. 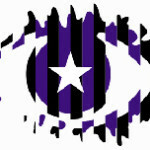 It is expected that Celebrity Big Brother will return in 2009, but a decision about its return is expected to be made next year.